Notice how the turf looks matted down and greasy, too. 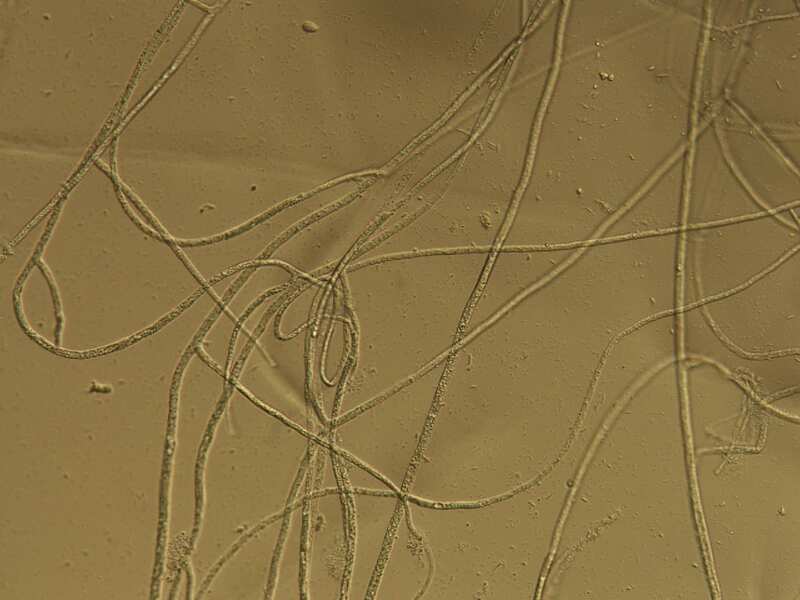 In the microscope here is what I saw – hyphae (fungal threads) with no crosswalls. 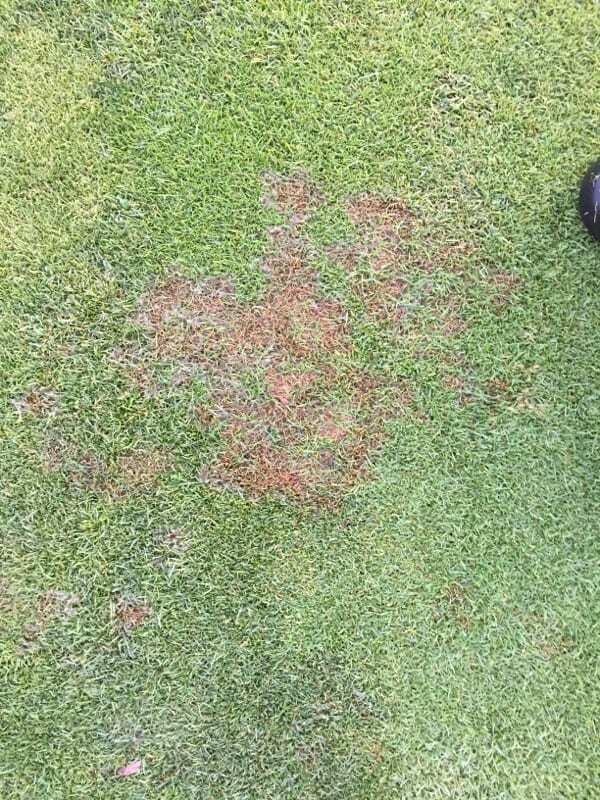 This means Pythium foliar blight. 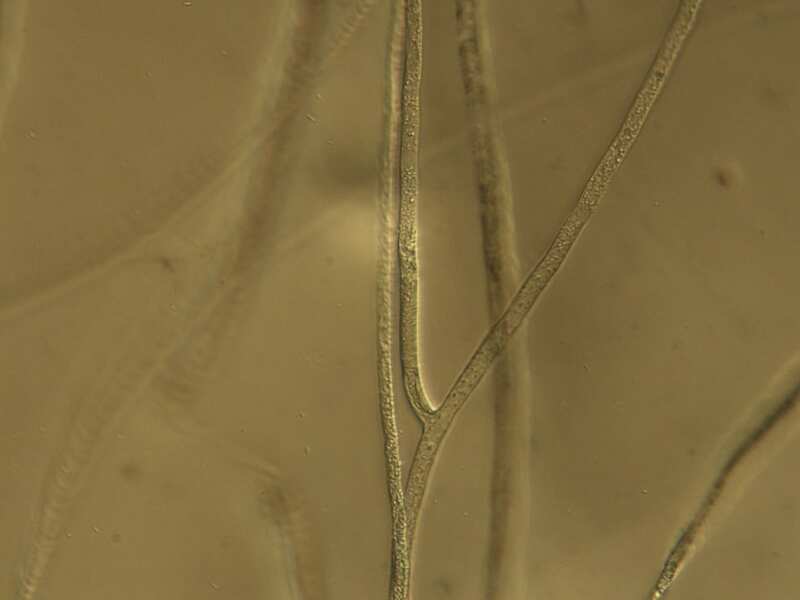 In addition, don’t forget that foliar Pythium is different from root Pythium. 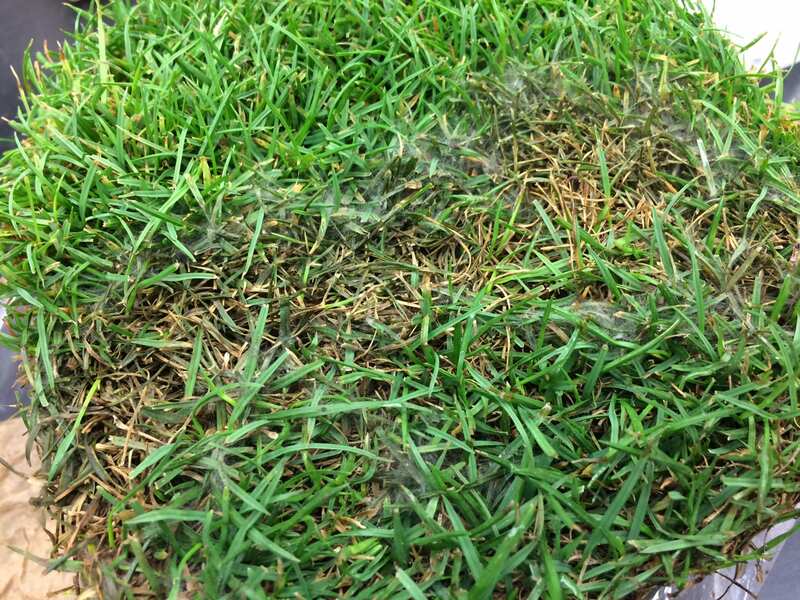 With foliar Pythium, we see it most often in fairways, tees, and athletic fields. It is extremely rare in putting greens in Kansas. 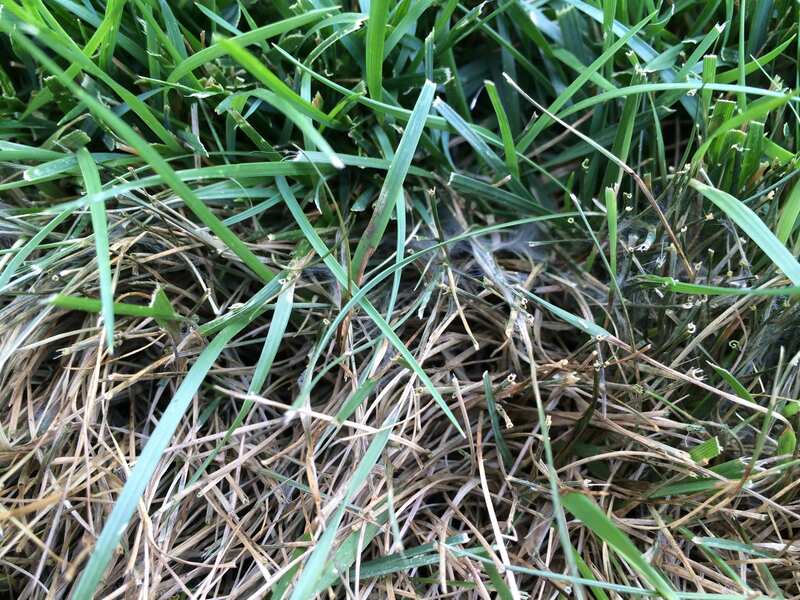 It is also rare in home lawns, but it can happen there from time to time. 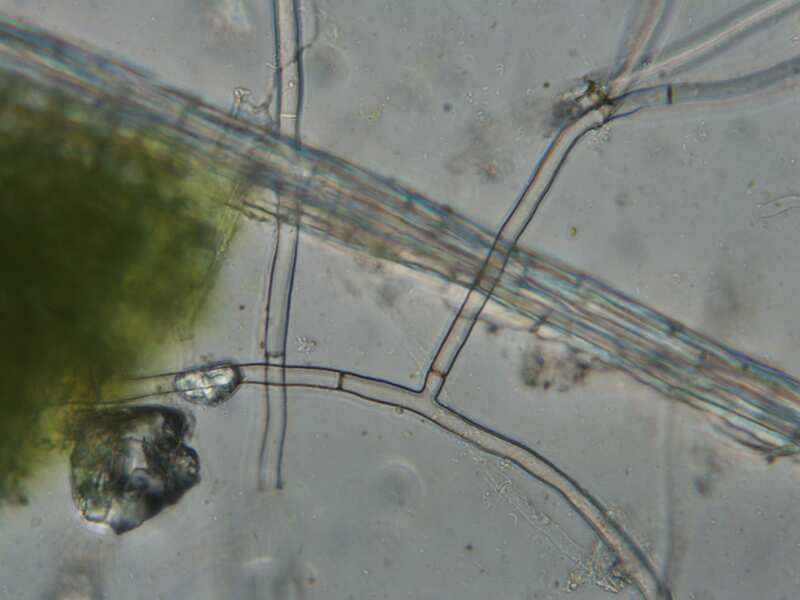 Pythium loves water and lush turf. To reduce your risk, avoid over-watering and watering at night. 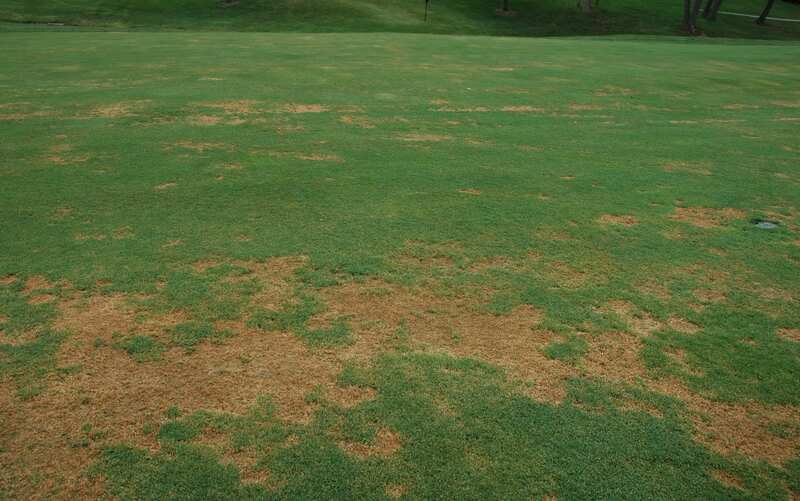 Avoid excessive N. As a special bonus that will reduce the threat of brown patch too! 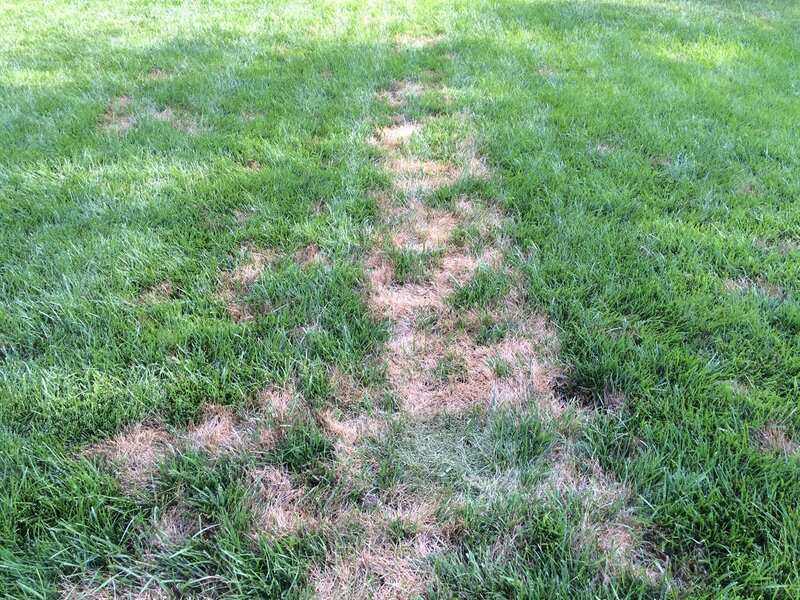 Pythium can easily track with mowers and in with water-flow through drainage. 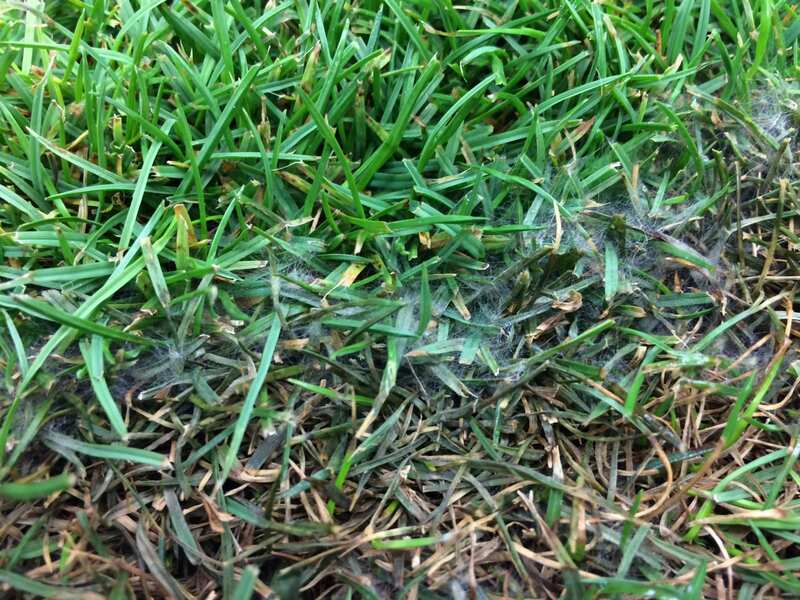 Avoid mowing Pythium areas when it is wet, with mycelium, to avoid tracking it into other areas. 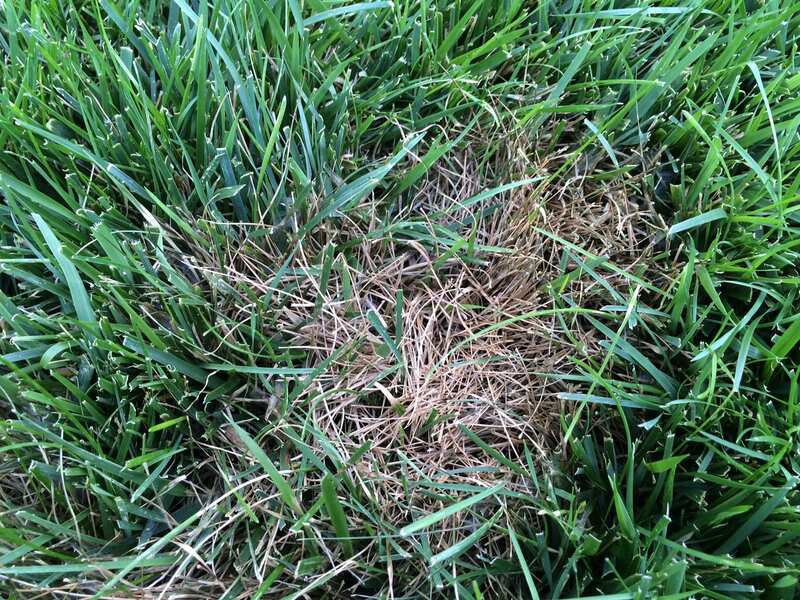 There are more tips here in Identification and Management of Turfgrass Diseases. The cottony, cobwebby growth can be confused at times with brown patch. If you have any doubt, send some in to the lab. 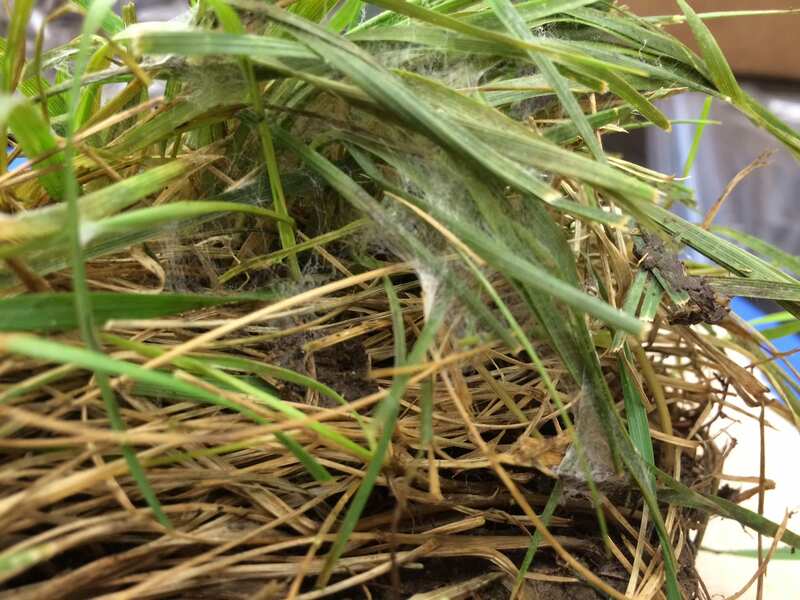 Here are some images of what Pythium foliar blight can look like in the field. You can see how it might be confused with other problems. When in doubt, send something in. 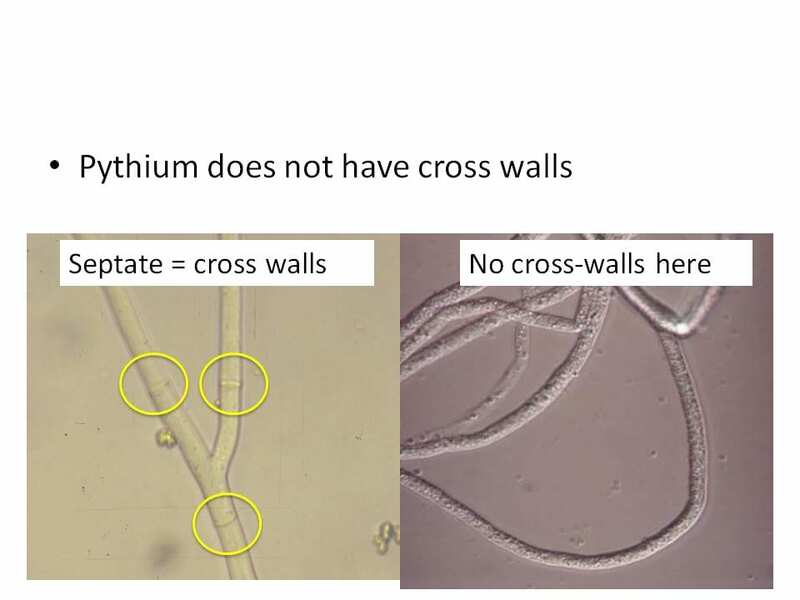 In the lab, that mycelium did not have cross walls.